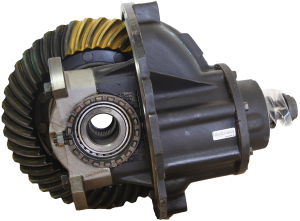 All Rebuilt Meritor differential models available for delivery or shipped World wide. Your purchased parts will meet the Rockwell Meritor standards that the original manufacturers trusts. If you need assistance identifying your model, see the identification chart below. If you have any questions contact us at 866-766-4600 or 407-872-1901. If the plate is missing or not available: Locate casting reference on main differential case.